The Yankees’ offense was tossed a much-needed softball Friday evening in struggling starter Henry Owens and they failed to take advantage, falling 4-2 to the rival Red Sox. New York certainly wasn’t short on opportunities. Double plays shut down promising rallies in four of the first five innings. There were plenty of baserunners, but the big hit(s) they needed never came. Coming into the game, the Yankees ranked 25th in the majors with a .131 ISO, a tremendous drop from the .170 mark that ranked fifth in baseball just last season with essentially the same lineup. To put that in perspective, this month they hit for less power than the 2015 Phillies, who finished one away from losing 100 games. They actually rank in the middle of the pack in terms of getting on base and making contact. The surprising power outage suffered by many of their key hitters has been perhaps the biggest factor in the team’s offensive struggles. Alex Rodriguez, Mark Teixeira, Brett Gardner, and Jacoby Ellsbury entered the weekend with slugging percentages well below .400. They are also playing a corner infielder every day who is dangerously close to not getting an extra base hit in the first month of the season in Chase Headley. At least A-Rod looks like he may be coming around. He’s now homered in back to back games with his solo shot in the second, career homer 691. Gardner singled in the other Yankee run in the fifth. Masahiro Tanaka cruised through six scoreless innings before allowing a two out, two run double to Jackie Bradley in the seventh to tie the game. Dellin Betances came in to relieve him and ended up surrendering a heartbreaking two-run game winner over the Green Monster. 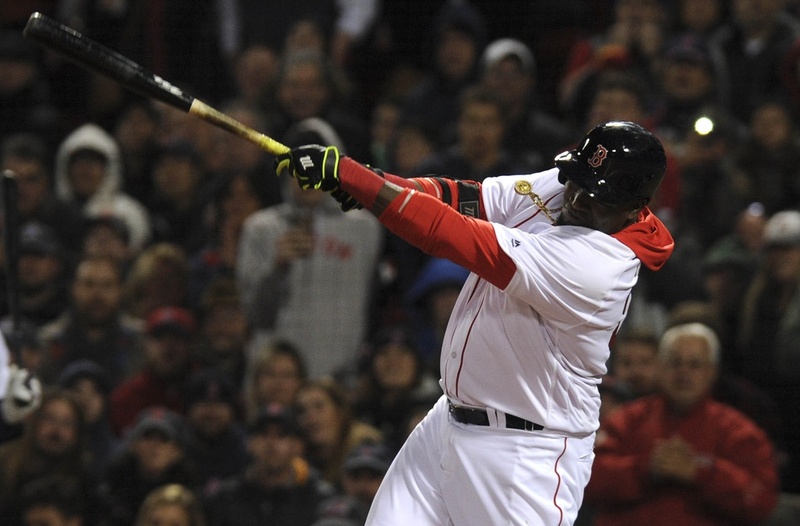 I can’t begin to express how happy I am that this is David Ortiz’s final season. This was a clutch home run against possibly the most dominant reliever in baseball. You just have to tip your hat. – Aroldis Chapman posted on his Instagram that he has officially become a citizen of the United States, writing: “Today is a very important day for me and I want to share it with all of you. Today April 29, 2016 I’ve became a U.S. Citizen and I want to thanks God and this great nation for the opportunities it has offer me and my family. Very happy to say that I’m a U.S. Citizen.” Chapman’s 30 game suspension will be up in less than two weeks on May 9th. – Aaron Hicks remained on the bench sixth straight game since jamming his shoulder on a diving catch April 22nd against Tampa Bay. He pinch ran for A-Rod late in the game Wednesday, but has yet to bat or play the field. Sitting Hicks against the left-handed Owens could indicate that Hicks is not yet 100% healthy. Alternatively, Girardi could have been worried about rust from the long layoff or Hicks’s slow start to the season on offense. Al quickly quieted the torrent boos of the Boston crowd in the top of the second with his 28th career dinger at Fenway Park. He then makes a point of giving the bat he used to a young fan. Love that guy. Michael Pineda will square off against Rick Porcello in the second game of this three game series at 7:10 pm ET Saturday evening. Porcello is undefeated through his first four starts this year, while Pineda has struggled to find his groove. Big Mike struck out 9 but allowed 7 runs on 10 hits in his last start against the Rays.